The Badger class missile fighter is a variation of the Patton fighter. Rather than the single missile launcher attached to the underside of the Patton, the Badger class has three launchers, on the underside as well as attached to either side of the cockpit. 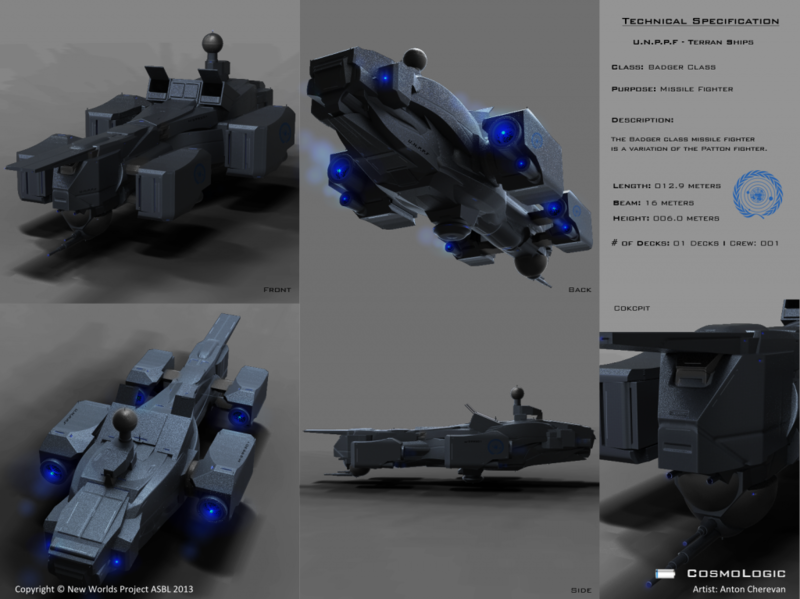 This reduces the fighter's speed and agility, however vastly increases its firepower.